Create an intimate setting with this charming square top black lantern. 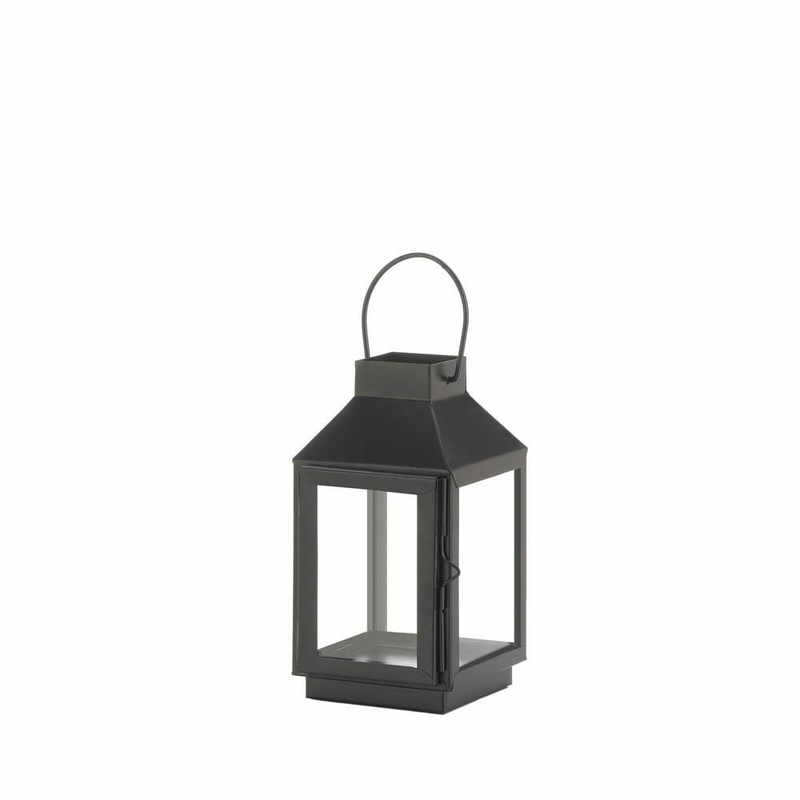 Traditional and eye-catching, this decorative lantern features an iron frame in a matte black finish with an open square top and glass window panes. A large handle on top for easy hanging. Weight	1 pound. 4" x 4.5" x 7.5". Iron, Glass. UPC Number: 849179038076.